I appreciate that the video game industry is no longer a venue where older actors “go to die” and that it has now become a much sought-after location to perform. However, to use it as a launch pad to attack a young and thriving religion leaves a bad taste. I see that you posted an article on April 30, 2018, which made a derogatory reference to Scientology and Scientologists. Would you cast the same aspersion on Catholics, Protestants, Jews, Hindus or Muslims? Probably not. 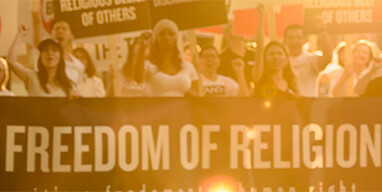 To find out the truth about Scientology I recommend you search www.scientology.org and www.scientologyreligion.org and learn what religious academics say.